As we enter the thick of the school term and deadlines begin to pile up, it’s safe to say we all have our fair share of reasons to rip our hair out. 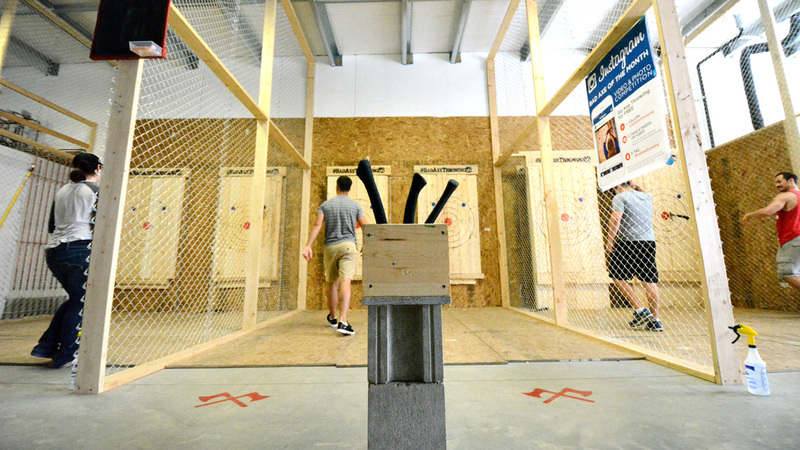 In the interest of preserving my hair, however, I decided to channel my stress into the far less destructive activity of recreational axe throwing, a relatively new sport that has been gaining recent attention. I was welcomed to Bad Axe Throwing by Jennifer Hauer, a resident axe-throwing expert, who gave me the rundown on the emerging sport. Although any activity involving “sharpened axes” and “throwing” in the same sentence may appear dangerous, Jen assured me that the worst injuries she’d witnessed were splinters caused by touching the wooden targets. This came as a huge relief to myself, a notorious klutz and self-proclaimed butterfingers. 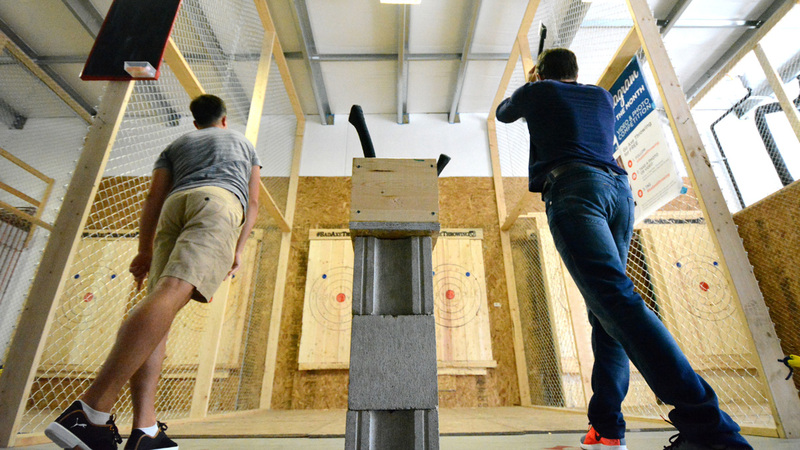 Each axe-throwing session includes one-on-one time with a seasoned coach, which helped me make the most out of my time. Jen demonstrated the proper stance and technique, and gave a few safety tips before letting me at it. My first throw fell short of the target and thudded to the ground. My second throw, much to my surprise, was a success! I even managed to land a few bullseyes during my half-hour throwing session, which should be a true testament to how accessible this sport is to anyone: if you can pick up an axe, then you’ll be just fine. Don’t worry about how hard you can throw, as success relies more on form than brute strength alone. The atmosphere of the building was bright and inviting, with separate lanes set up for each throwing group, perfect for the birthday and bachelor(ette) parties that are frequently booked. If you’ve never considered a night of axe-throwing to be your type of party, you might be pleasantly surprised by the experience. Trust me, there is nothing monotonous about repeatedly throwing an axe at a wall; Jen kept the experience dynamic and fresh by leading me through games and different throwing techniques, and even showing off some of her own moves. 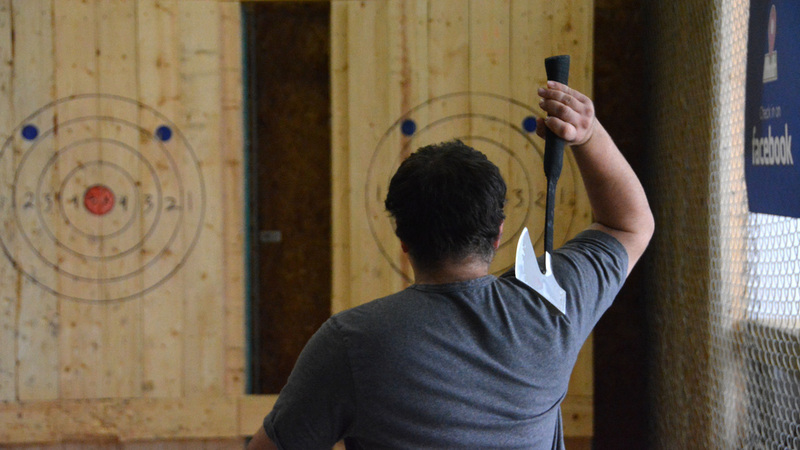 If the standard axe throw isn’t exciting enough for you, there are one-handed, behind-the-back, double-spin, and many more exciting throws to test your skills with. By the end of my session I was even working up a sweat, and I found myself feeling empowered by my newfound ability to hurl a sharpened object with precision. I would recommend axe throwing to anyone looking for a new hobby or just a unique experience, either as a solo activity or a group adventure (food and drinks are allowed!). Those looking to step out of their normal routines and try something new will find just that at Bad Axe. 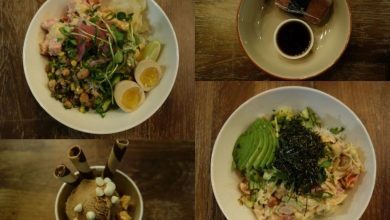 Plus, slow-motion axe-throwing videos make for some eye-catching Instagram posts if you’re looking to bolster your social media image. 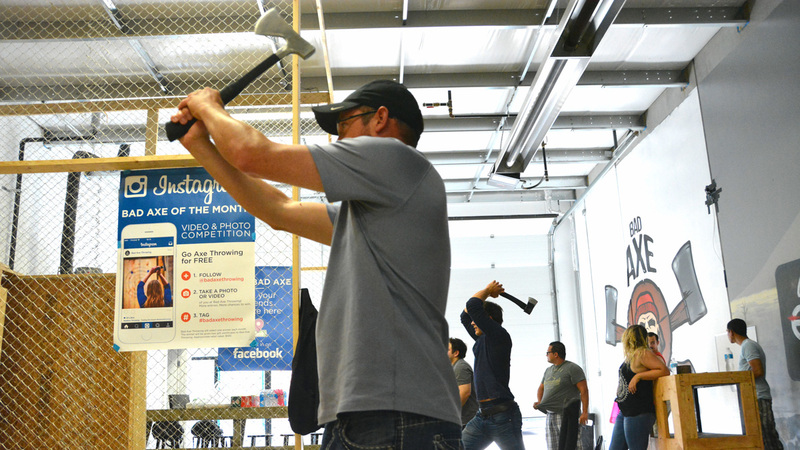 Bad Axe Throwing has only been in Edmonton since January of 2016, but it has been rapidly picking up momentum and is a popular pastime for many regulars and drop-in guests, as well as being a suitable spot for special events. 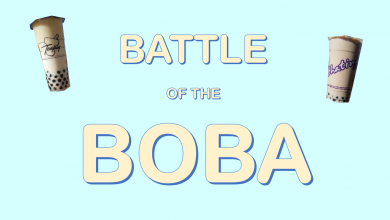 They even have their own league with factions in 19 major cities, where members can compete for total glory. Bad Axe is currently hosting the first ever world championship competition with a cash prize of $3,500 and plans to continue in future years and expand to even more locations. If you’re keen on getting involved in this quickly-growing sport, it’s never too late to pick up an axe and join in!